It’s important to keep in mind that what you take out of your batteries must be put back in. If it’s not done in a timely manner the battery sulfates and can be permanently damaged. You need a three stage charger that can provide a bulk charge, an absorption charge and finally a float charge. Ideally the goal is to initially provide a bulk charge of about 14.4 volts to return the battery to 90 percent of full charge within the first couple hours. At this point the voltage drops to about 13.6 volts for the remaining 10 percent to prevent any battery gassing and water loss. When the battery is fully charged the voltage drops again to a float or maintenance charge of 13.2 volts to keep the battery topped off. There are RV converter chargers on the market that will do this. If you purchase a multi-stage battery charger you need to know the charging current limitations of the battery being charged. When selecting a charger, the charge rate should be between 10 and 13% of the battery’s 20-hour AH capacity. Note:For proper charging procedures always follow the instructions that come with the battery charger. Always match the charger voltage to the battery system. An undersized battery charger will never charge the battery regardless of how long you let it run. An oversized battery charger will cause excess gassing and heat and could result in the battery exploding or other damage. Batteries should be charged as soon as possible after each period of use or whenever they reach an 80% state of charge or below. An 80% state of charge for a 12-volt battery is 12.5 volts, and 6.25 volts for a 6-volt battery. The batteries should only be charged in a well ventilated area and keep any sparks and open flames away from a battery being charged. Check the electrolyte levels before and after charging batteries. 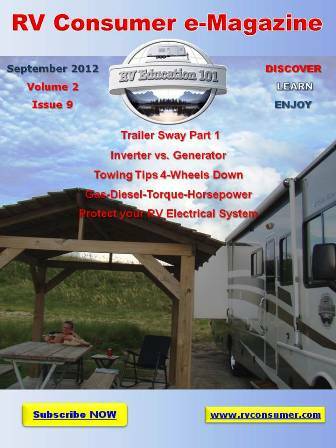 If you put your RV in storage it’s a good idea to remove the batteries and put them in storage too. This is quite simple to do. When you’re removing the battery always remember to remove the negative terminal first. Clean the batteries with a 50/50 mixture of baking soda and water if necessary. Check the electrolyte level and add distilled water if necessary. Test the battery state of charge and charge any batteries that are at or below 80%. A discharged or partially charged battery will freeze much faster than a charged battery. Store the batteries in a cool dry place but not where they could freeze. Batteries in storage will loose their charge. Test the state of charge every month and charge batteries that are at or below 80% state of charge. Completely charge the batteries before re-installing them next spring. For optimum performance equalize the batteries after they are fully charged. 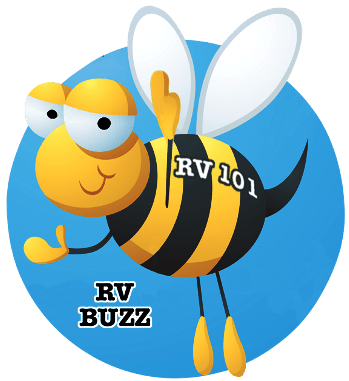 Note: If you are not comfortable performing maintenance on, or working around lead acid batteries, take the RV to an authorized repair center to have battery maintenance done.